The New York Jets have agreed to trade a fifth-round pick to acquire wide receiver Brandon Marshall from the Chicago Bears. Marshall’s $7.7 million salary for 2015 would have been guaranteed had he remained on the Bears roster as of 3/12/2015. It was believed that Head Coach John Fox and General Manager Ryan Pace would have released Marshall prior to his salary being guaranteed if they were unable to find a trade partner considering his cap figure and poor production in 2014 due primarily to injury. The move effectively nets just shy of $8 million in cap space, a late round pick and a glaring need at starting wide-out. Alshon Jeffery is clearly the #1 in Chicago but Marshall’s departure simply means more double coverage for Jeffrey if the Bears fail to adequately replace Marshall via free agency or the draft. The addition of Marshall gives the Jets a receiver with a substantial catch radius and true #1 productivity historically. 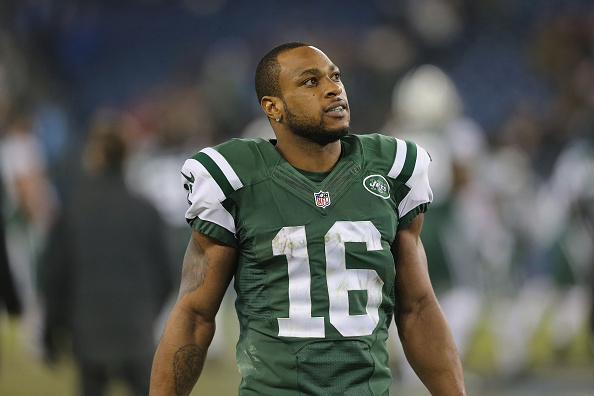 The move will also result in the corresponding release of Percy Harvin. Harvin was an early to mid-season acquisition last year from the Seattle Seahawks, a desperation move on behalf of the previous regime. Harvin was expected to count $10.5 million against the cap, albeit no guaranteed money. Expect Harvin to be greeted with a decent market despite the fact that he will be playing for his fourth team despite only being 27-years-old. Harvin has developed a reputation for being a divisive figure in the locker room but his speed and play-making ability will garner another contract in short order. The fourth-round pick the Jets traded to Seattle to acquire Harvin now becomes a sixth-round pick as per conditions of the trade. So much for the Bills and Rex Ryan bringing in David Harris to replace Kiko Alonso. 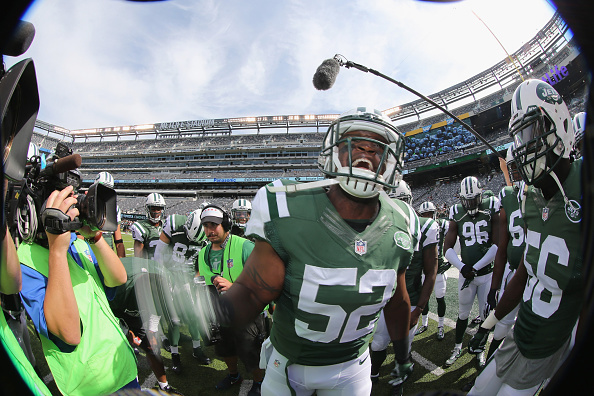 The veteran inside linebacker has re-signed with the Jets on a three-year $21.5 million deal, with $15 million guaranteed. It was difficult to turn down that much guaranteed money at this stage in his career (9th season) despite his relationship and familiarity with Rex Ryan. Anticipate Harris continuing his dominant run stopping efforts as he attacks the line of scrimmage in Head Coach Todd Bowles’ blitz-happy scheme. Redskins retain tight end Niles Paul by signing him to a three-year $10 million deal. Wide receiver Marques Colston of the New Orleans Saints has agreed to restructure his contract lowering his $9.7 million cap figure. Offensive tackle Michael Oher signs a two-year deal with the Carolina Panthers. The Saints continue to maneuver around their cap issues (reportedly $20 million over cap) as defensive tackle Broderick Bunkley agrees to re-structure his contract. The Pittsburgh Steelers sign quarterback Tajh Boyd. Quarterback Kellen Moore re-signs with the Lions on a two-year deal. Jacoby Jones has been added to the San Diego Chargers’ receiving corps. signing a two-year $5.5 million deal. Denver Broncos extend exclusive rights tender to linebacker Brandon Marshall. Jimmy Clausen re-signs with the Chicago Bears. The Lions retain the services of kicker Matt Prater. The Seattle Seahawks have extended a second-round tender to WR Jermaine Kearse.